The East Marietta National Little League team from Marietta, Georgia defeated the Liquito Hernandez Little League team of Barahona, Dominican Republic in the Championship Game of the 1983 Little League World Series. It was the first time since 1976 that the Championship Game did not feature a team from Taiwan. Guess what else was a first that year? Little League released their first official pin. Are there Little League pins that predate 1983? Yes. But none were officially made and released by Little League itself. This Little League rookie pin is quite simple. 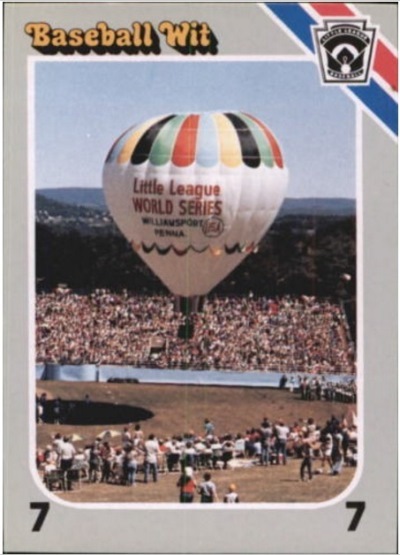 Its a multi-colored hot air balloon that says “Little League WORLD SERIES WILLIAMSPORT, PENNA. USA”. The year isn’t even printed on it. 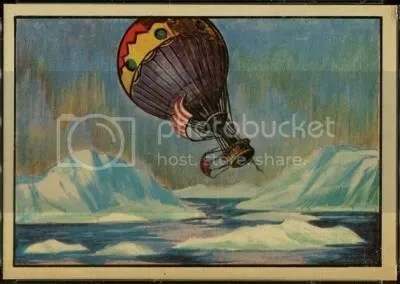 Back then this hot air balloon was a common sight in Williamsport when the Little League World Series was going on. You can even find it on this Baseball Wit trivia game card. Locating one of these pins for your collection isn’t easy. When an example becomes available it will set you back about $50. I can personally guarantee that in 1983 they didn’t cost anywhere near that much. A word of WARNING. Always check the back of the pin before buying. In the 90’s, Little League remade this pin due to it’s popularity. Little League continued selling these remakes well into the 2000’s. The remake has the word “CHINA” printed on the back. Original pins do not. The backs of original pins are completely blank. As you can imagine, the remakes don’t carry as much value. Its the year 2015. I want to know where the hoverboards and self-lacing shoes are. This is what Back To The Future Part II promised us. 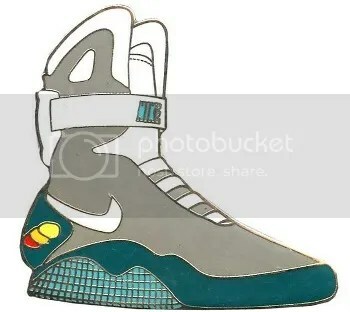 In 2011 Nike sold 1,500 pairs of Air Mag shoes on eBay to raise money for the Michael J. Fox Foundation. 10 additional pairs were sold at auctions around the world. The shoes sold for $2,300 to $10,000 a pair. If that was a little too expensive for some people, Nike made 350 replica ceramic shoes you could buy. They also sold this pin. The pin can be picked-up on the secondary market now for $20.00 to $89.00.